What's everyone got booked at the moment? Just Mall Grab at Motion for me, really excited though. His Boiler Room is one of my favourites.. I didn’t get into Bergs when I tried. Few of my friends live over there they say best to go Sunday morning at like 8/9AM. I did go About Blank and Griessmuehle enjoyed both especially Griessmuehle but all depends on who’s playing or what the night is I guess. Griessmuehle you can sometimes buy tickets for. Coming up I’m looking to go Special Request at Soup Kitchen and I’m 100 percent going Optimo at White Hotel would love to see both at Glastonbury! Arnaud Le Texier in Birmingham for me in four weeks. I am flippin' excited as he seems to focus on exactly my favourite brand of intelligent, sometimes euphoric, techno. He's playing in a new room at a decent Brum venue so it should be ace. I've also got Jon Hopkins live in Bristol in March and possibly a Trance night (😃) in April. Then I'll probably not do much/anything as I've got a bit of a monster running event to tackle three weeks before heading to the Farm. Im djing at Majefa in Manchester in march. Nick Warren, Patrice Baumel are on too. Otherwise, I might see Green Velvet in Leeds. I need to save cash though! What's everyone got booked at the moment? Just Mall Grab at Motion for me, really excited though. His Boiler Room is one of my favourites. Palms Traxx at Corsica has got me excited. His sets are just so fun, hoping he can make it to glasto too. Can't get enough of the guy. There is a handful of other nights that are tempting me but am managing to resist the temptation. For my wallets sake. On another note, where would a guy like Palms Traxx fit in Glasto? Last time I went, didn't like electronic music as much as I do now. Did spend a night throughout Shangri-La and Block 9 but had no clue what I was doing, just following mates. Where am I gonna find this vibe at Glasto? That Mall Grab night will be a lot of fun! I'm off to Berlin in March, think we might head to Griessmuhle one of the nights, but we're there predominantly to watch some football so going to keep out of the clubs in the most part. I've got the Ed Banger night booked in for the end of January, and I'm off to Eskimo Dance and AVA at Printworks in March, also think I'm going to do the Fatima Al-Qadiri event in the Re-Textured series, and may well convince some friends to go to Jeff Mills at E1 in April. I’m off to HopeWorks in Sheffield in March - anyone ever been there? Any good? Also, where do I start with Gesaffelstein? Heard the new track on the radio the other day and loved it. Thanks for posting, I was there, had no idea it was recorded! The album Aleph is a banger. "Obsession" is my favourite tune from that album, super dark and industrial. "Control Movement" and "Let the Beat Control Your Body" on the Bromance #1 EP are superb. "Viol" is another awesome track. Dowloading and waiting to play it in my car on the school run. My son will then complain about it and we’ll have to stick on Disney songs on the way back. It's pretty decent isn't it.  When they first announced that J2 was going to be a 2 day festival with the Friday being other genres I wasn't impressed. It's been a pure techno festival for the last 3 years and I thought they were throwing their music policy out of the window. But, faith has been restored. And a Friday ticket has been purchased. Worth it just for Bicep and Villalobos, in my opinion! Just note, it is a Bicep DJ set. I'm sure it will be amazing, but not a Live show. Depending on what you like, might even prefer that. Heard many a good thing about the Downlow. Think I'll definitely need to investigate it for myself this summer. 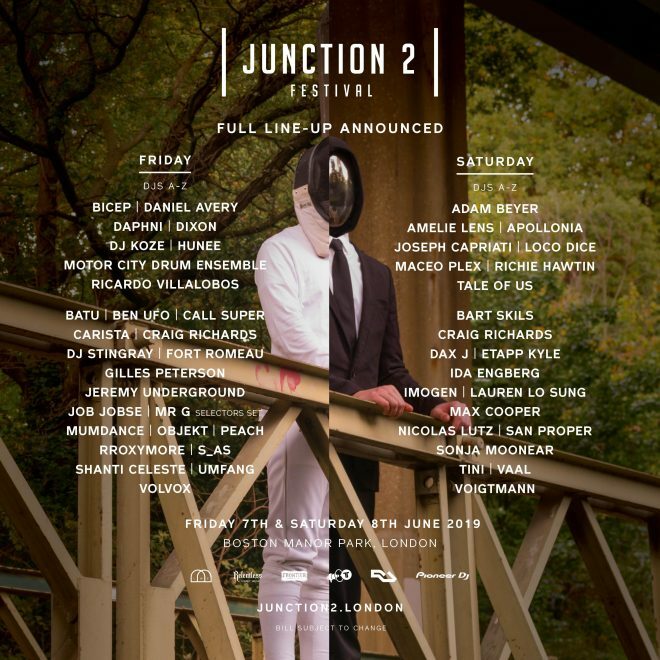 Also I too have given in and gotten myself some Junction 2 Friday tickets.